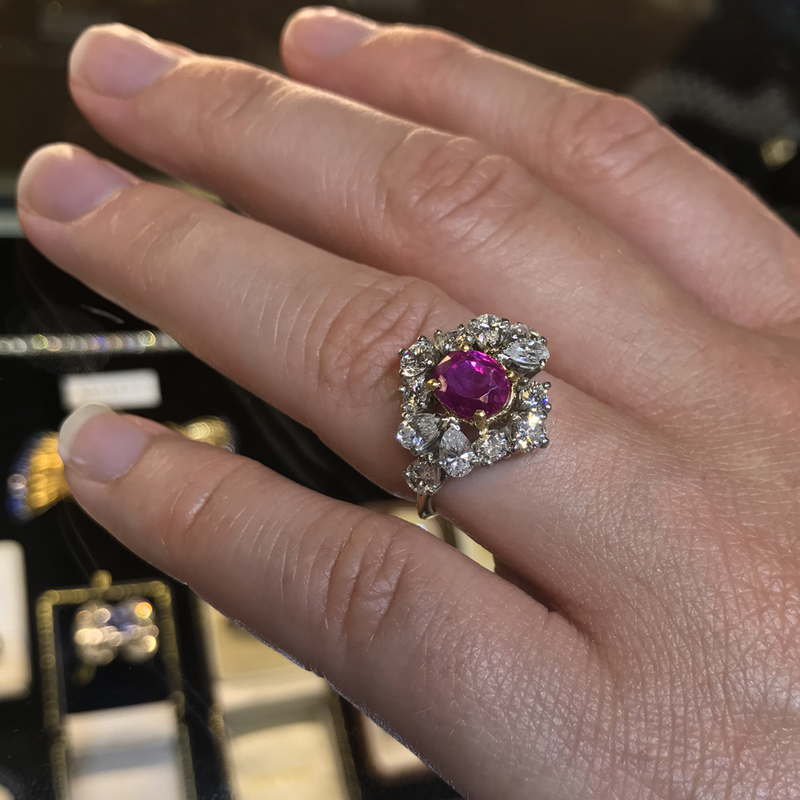 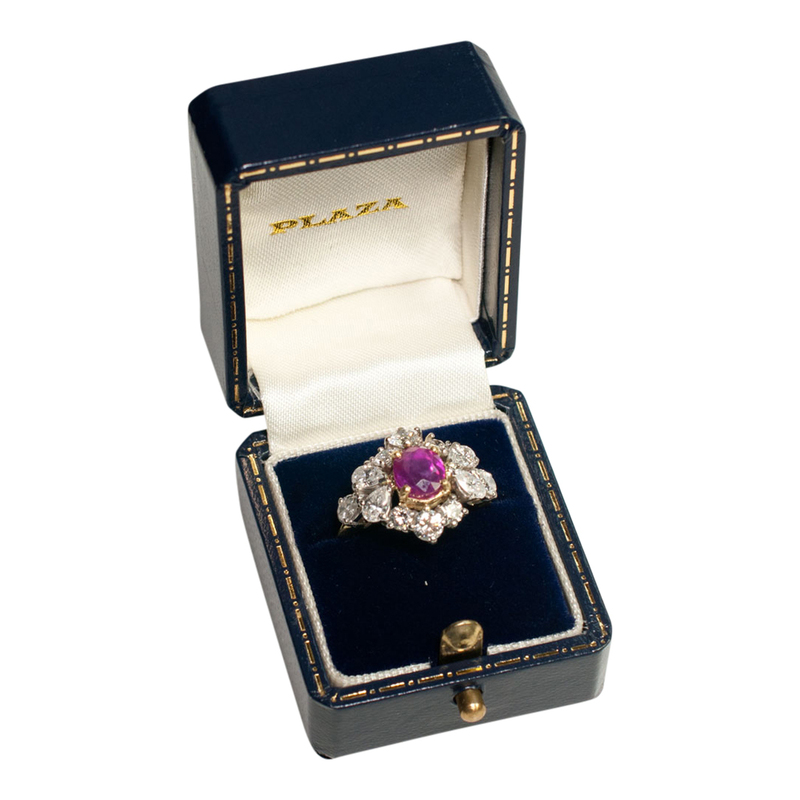 Certificated No Heat Burmese ruby and diamond ring; the ruby is a deep pinkish/red colour and weighs 2.02ct; it is claw set and surrounded by brilliant and pear shaped diamonds weighing 1.80ct with the setting tested as platinum, mounted on a fine yellow gold band tested as 18ct. 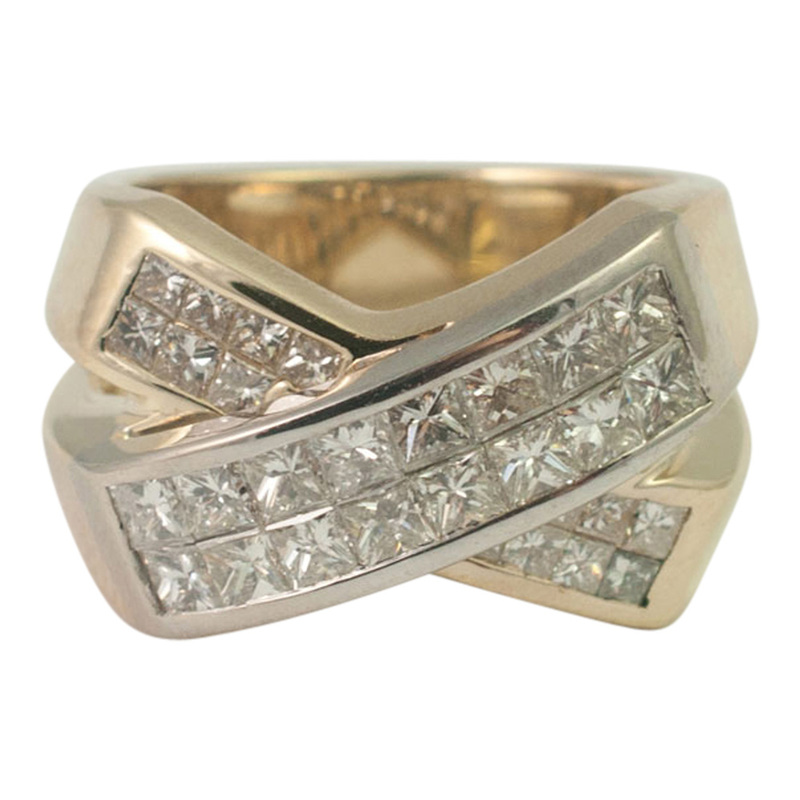 Weight 5.2gms. 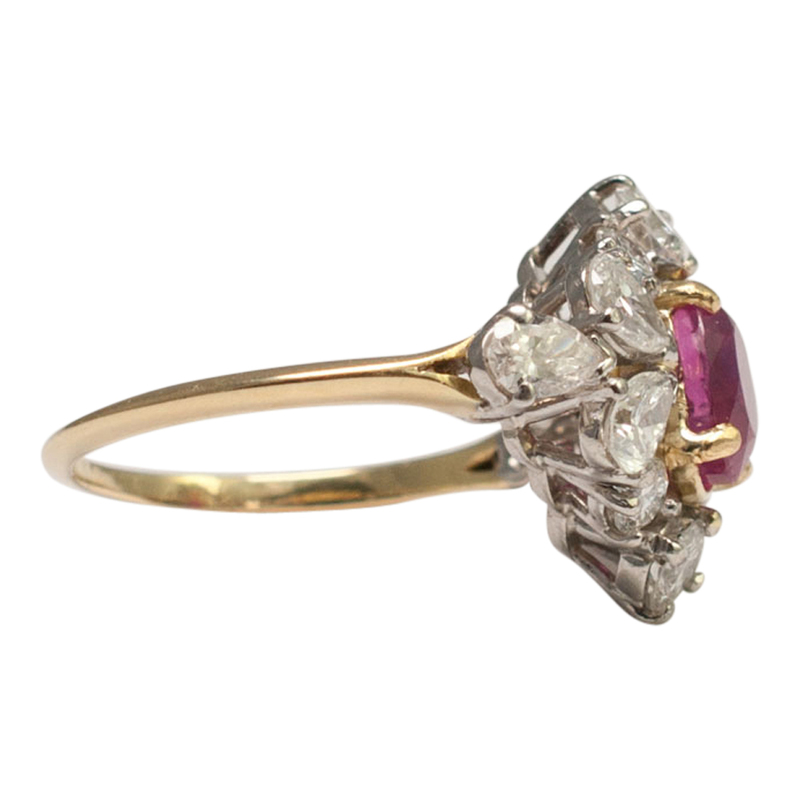 C.1950s Finger size M (UK), 6.5 (US), 53 (EU) which we can re-size for you if required. 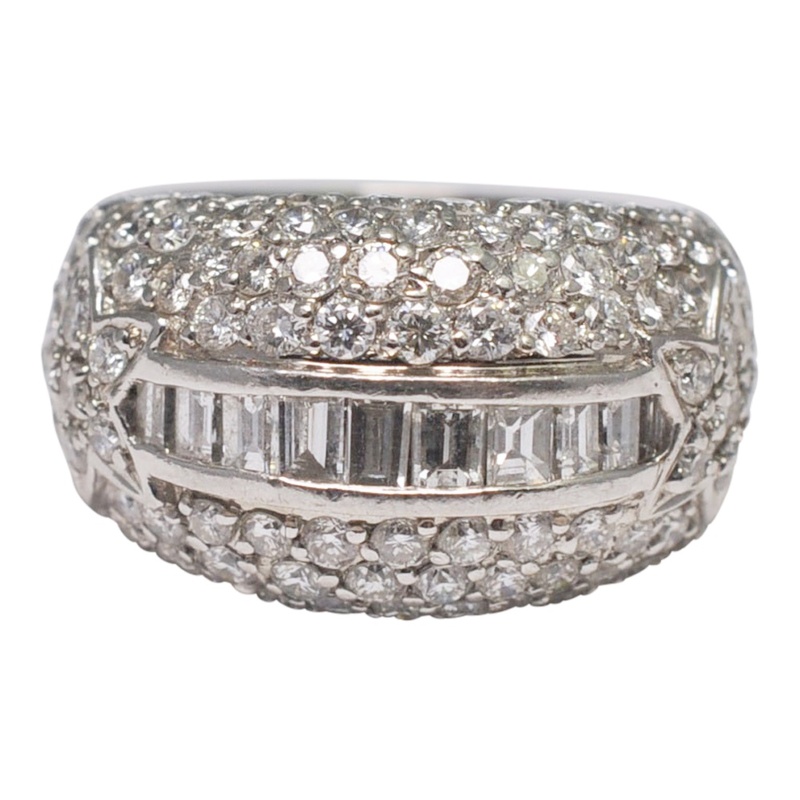 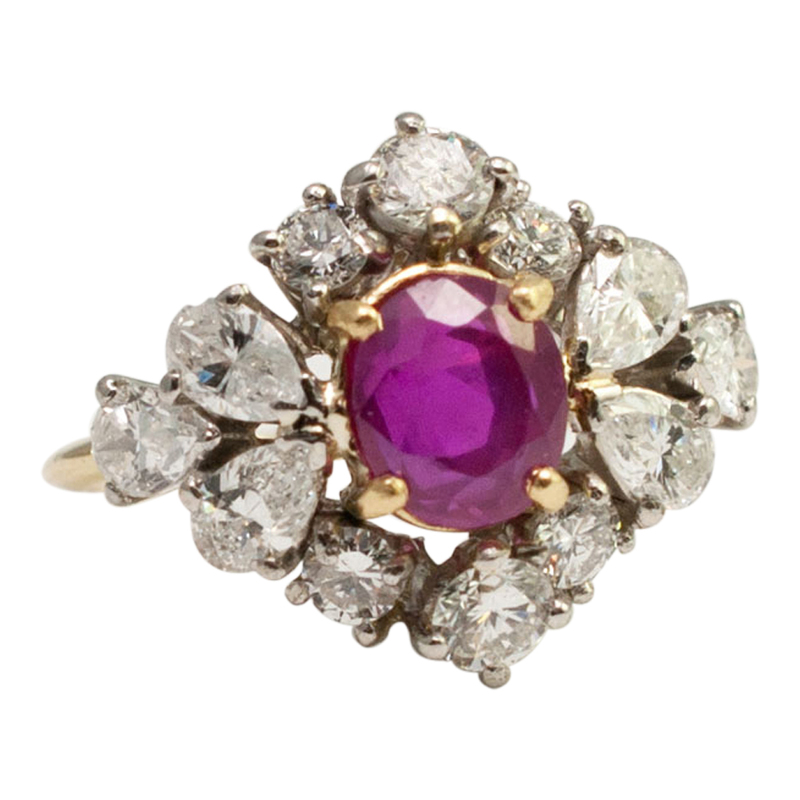 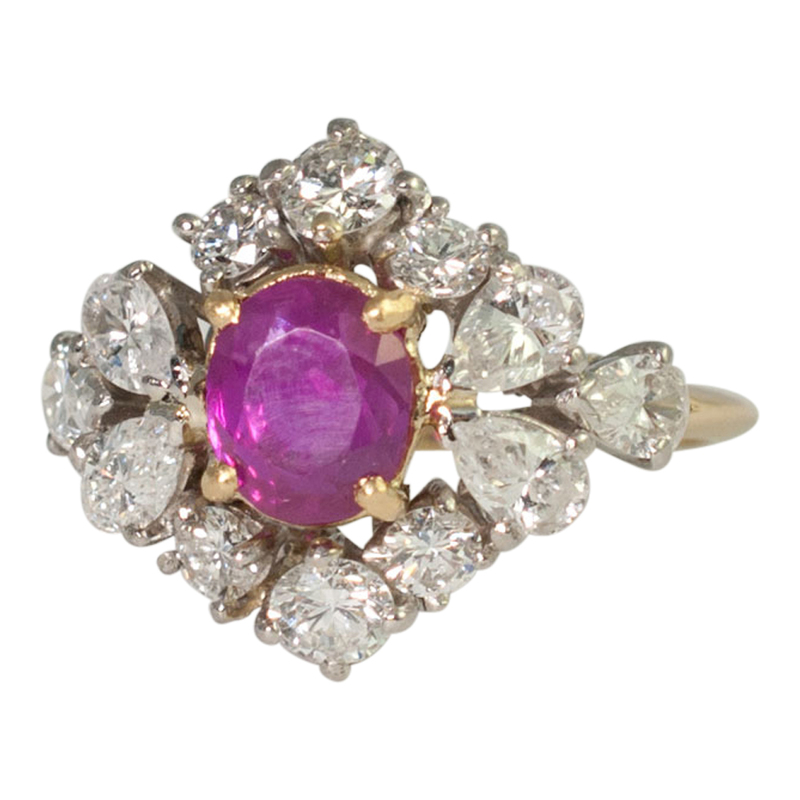 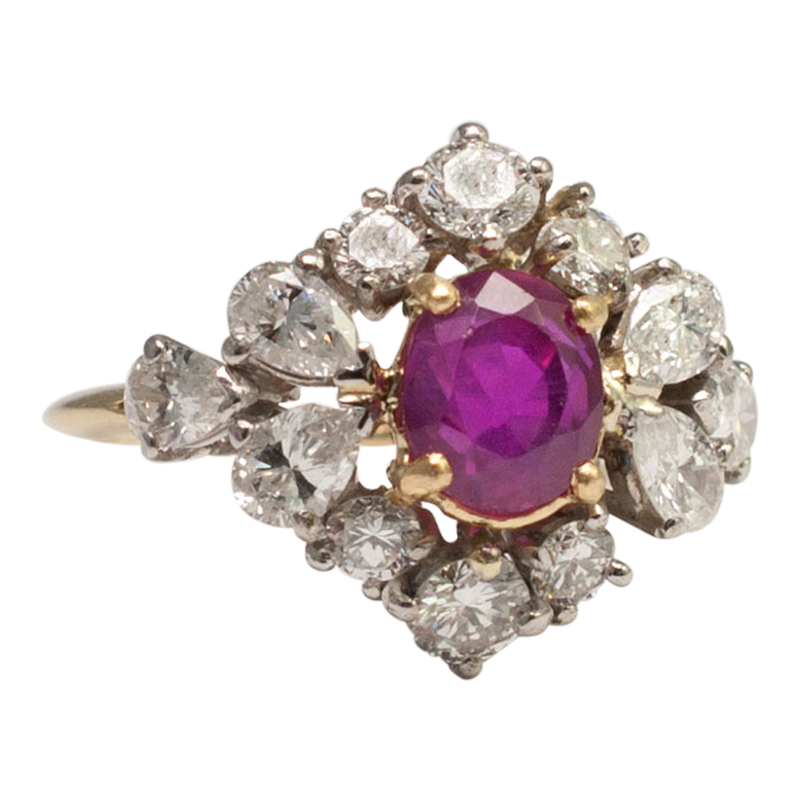 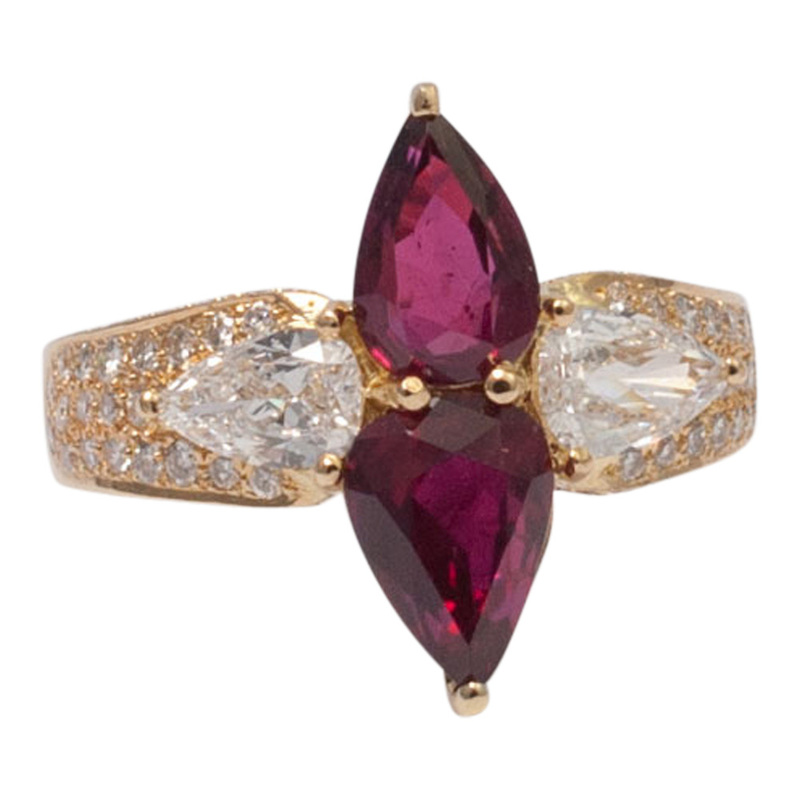 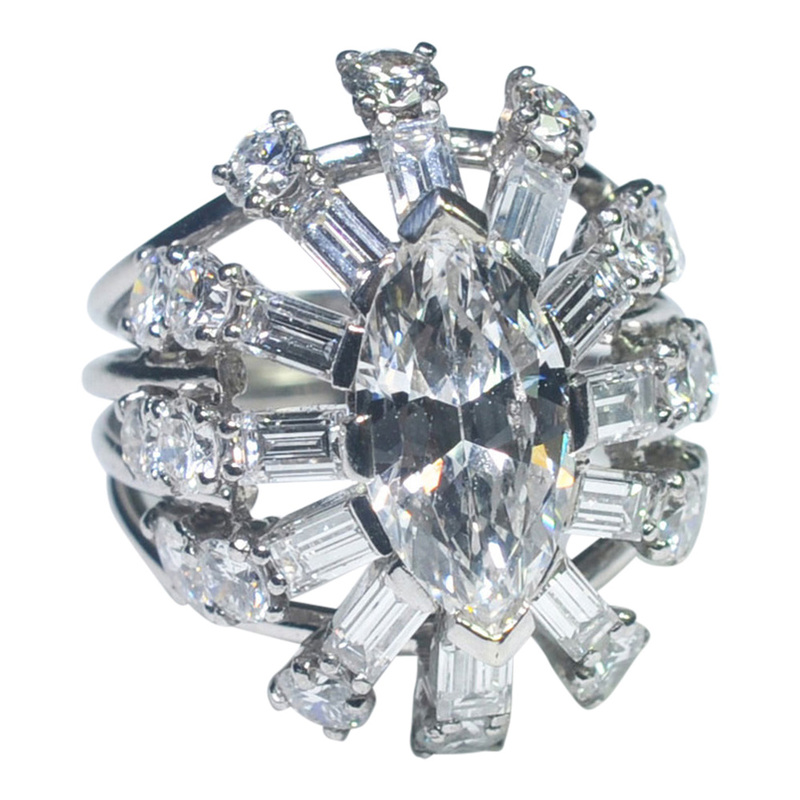 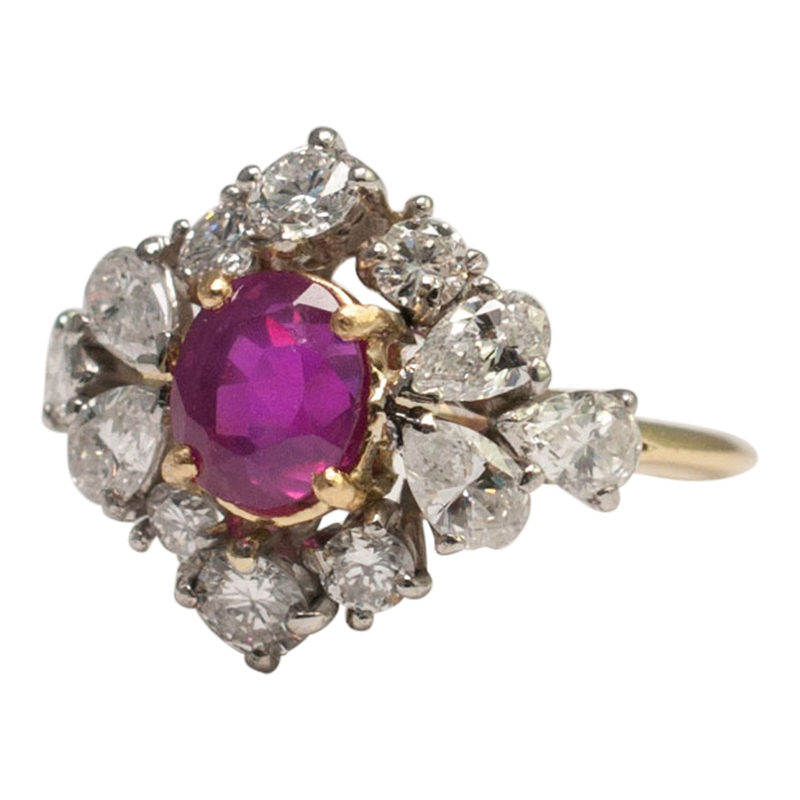 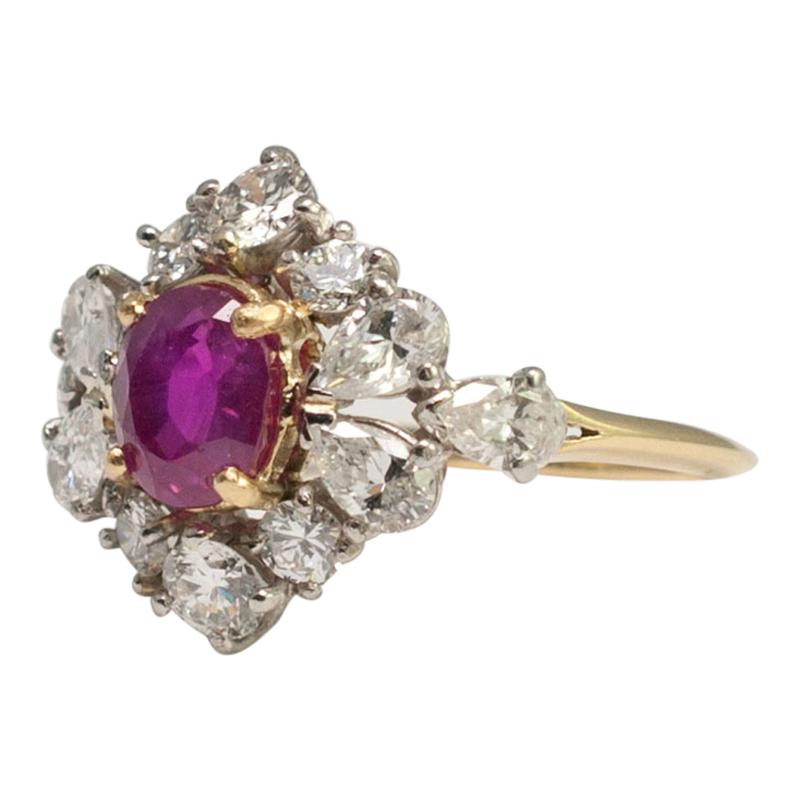 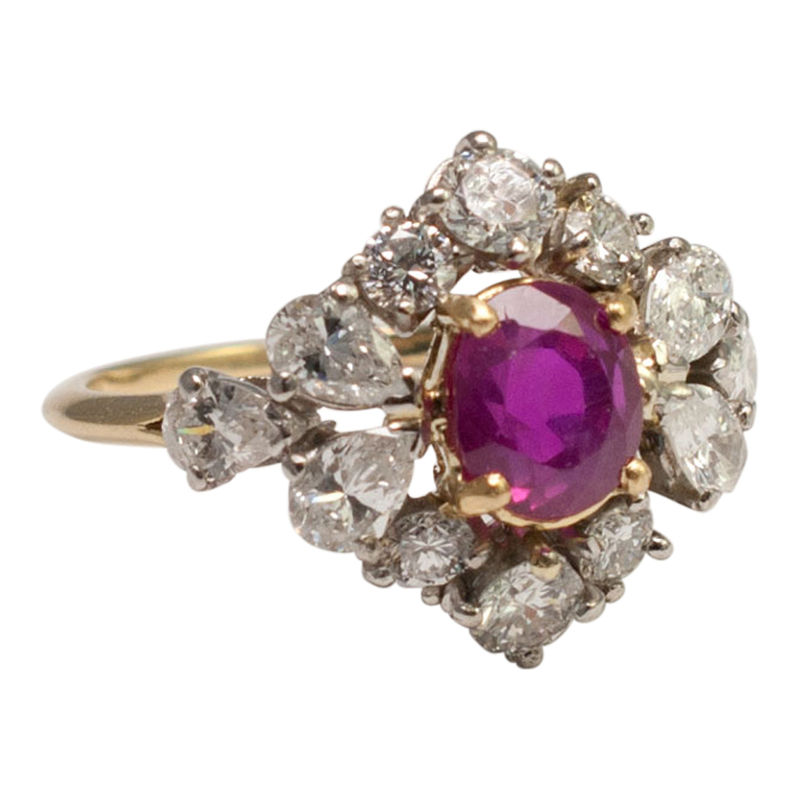 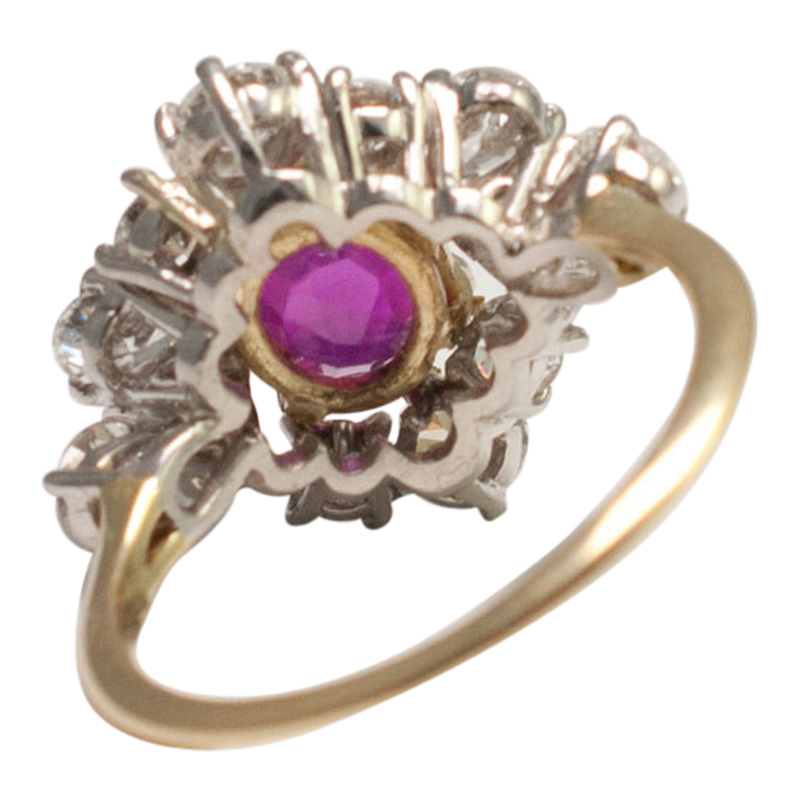 This ring is in very good condition and would make a wonderful ruby wedding anniversary ring.